Budapest is a hidden gem in central Europe that often gets overlooked by first time visitors to Europe who tend to visit more popular cities such as Paris, Rome or London, but Budapest is one of the largest cities in the European Union, at five times the size of Paris and with a population of nearly 2 million. With its breathtaking ancient and modern architecture, mindblowing food, and staggeringly low costs, a visit to Budapest is a no-brainer! I’ve created this interactive Google Map for you to use on your trip to Budapest. 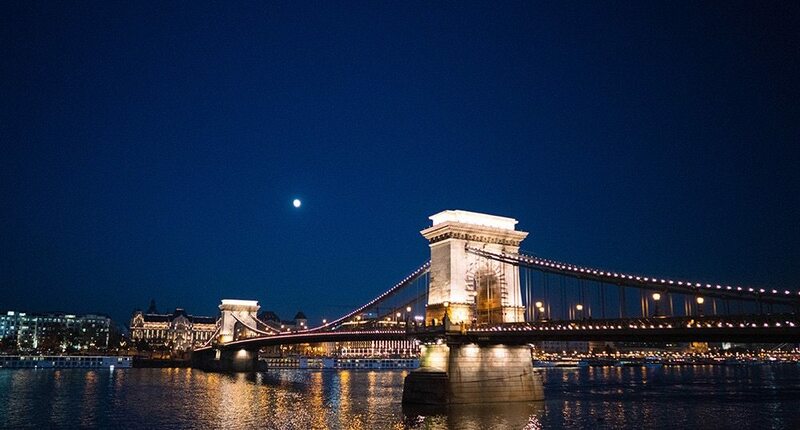 You can find information about and directions to all the main things to do in Budapest. 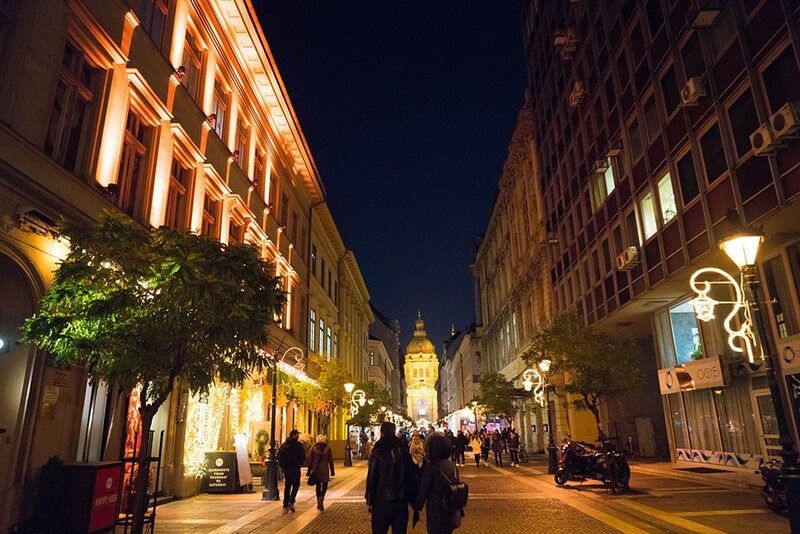 Check out this video for a quick overview of things to do in Budapest in one day. 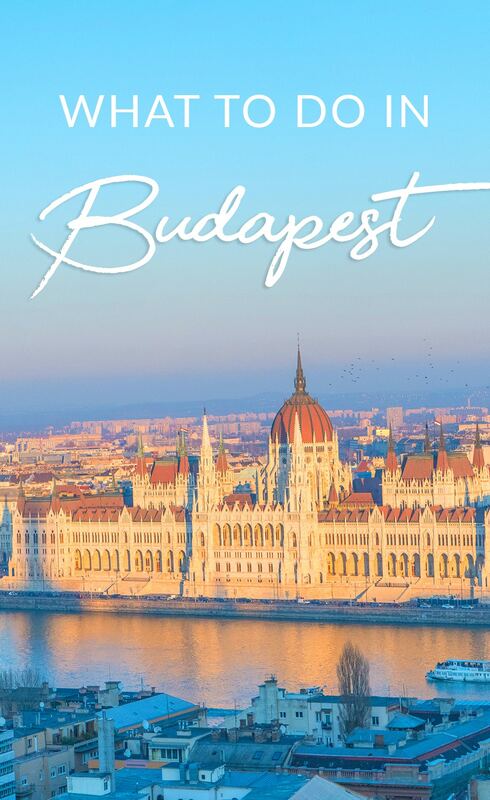 I’ve seen some killer deals to Budapest lately for as little as $400 round trip from the US, and the great thing is that, even though there are plenty of things to do in Budapest to keep you busy for years, it is also situated within driving distance of a slew of other amazing cities you’ll want to add to your bucket list! 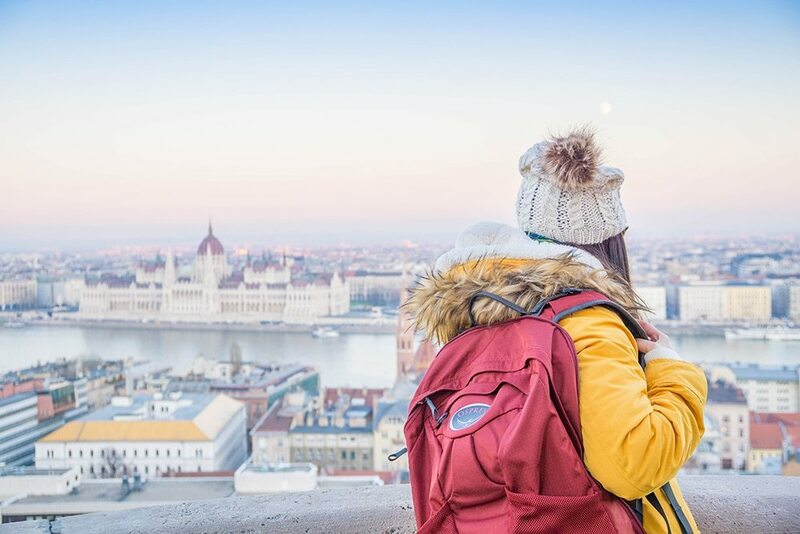 For great advice on how to find the cheapest flight to Budapest, check out How to Fly for Cheap or Nearly Free. I knew I had to pack light for this trip. I would be road tripping around Europe with 6 other women! Giant suitcases were NOT an option! 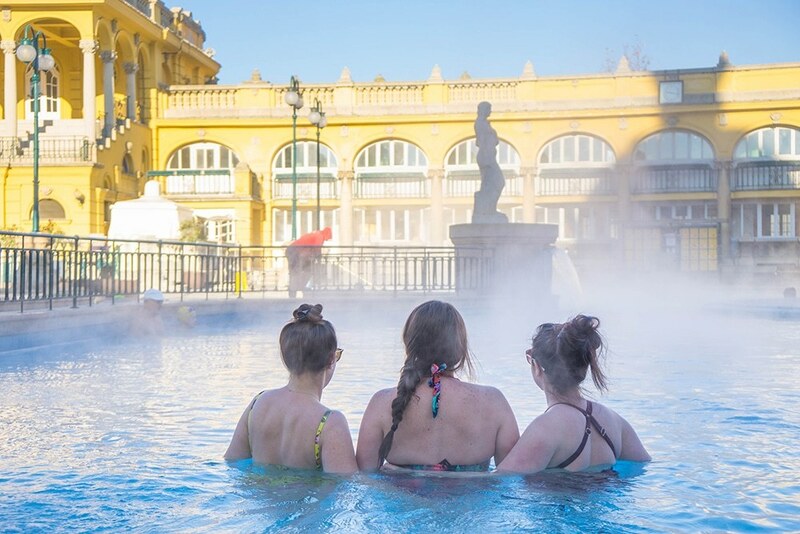 The average annual temperature in Budapest is about 50 degrees Fahrenheit. 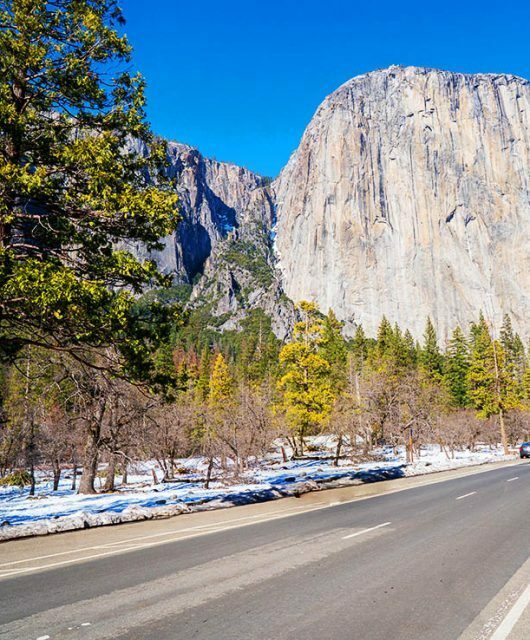 It can snow and be quite cold in the winter and summers average around the 80’s. 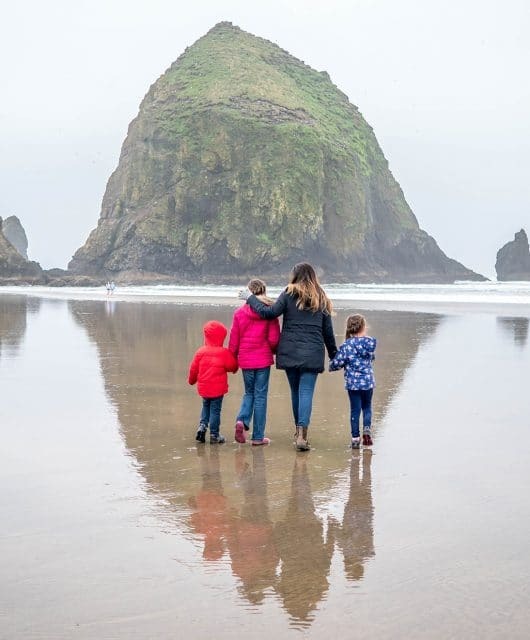 So depending on when you visit, be sure to dress for the season appropriately. 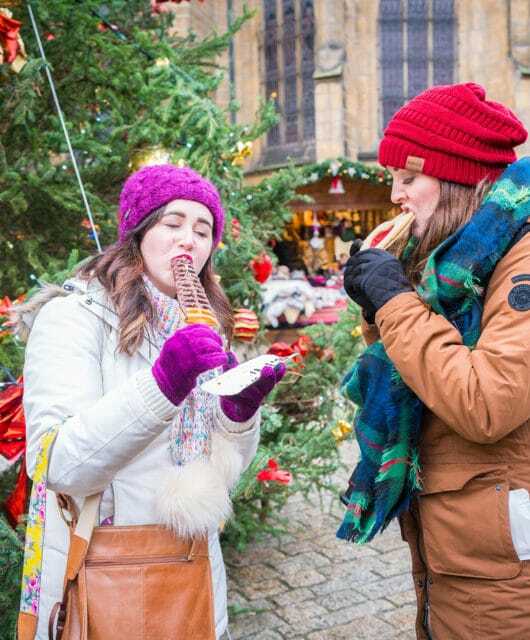 If you’re visiting in the winter be sure to bring a thick winter coat, hat, scarf, gloves and extra warm under clothing. I visited at the beginning of December and it was COLD! 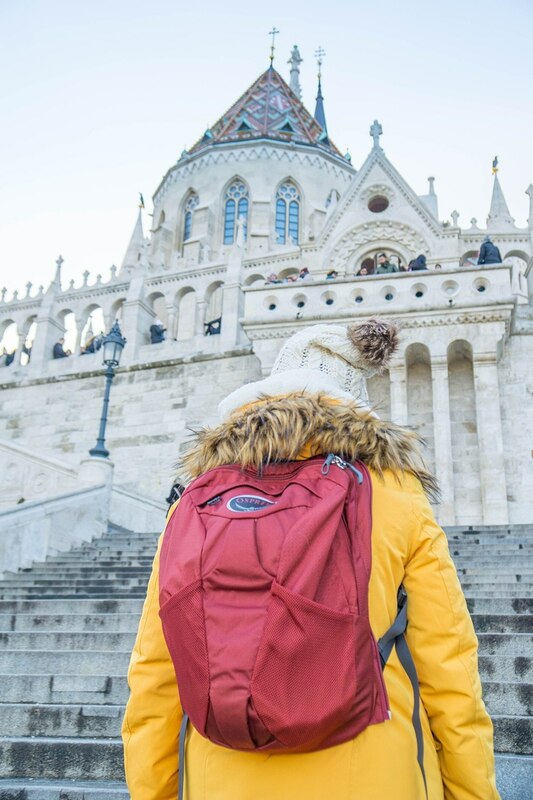 Budapest is full of cobblestone streets and our apartment was a walk up, so I opted to pack my Osprey Farpoint 70 from Zappos so I wouldn’t have the stress of rolling and hauling a suitcase. 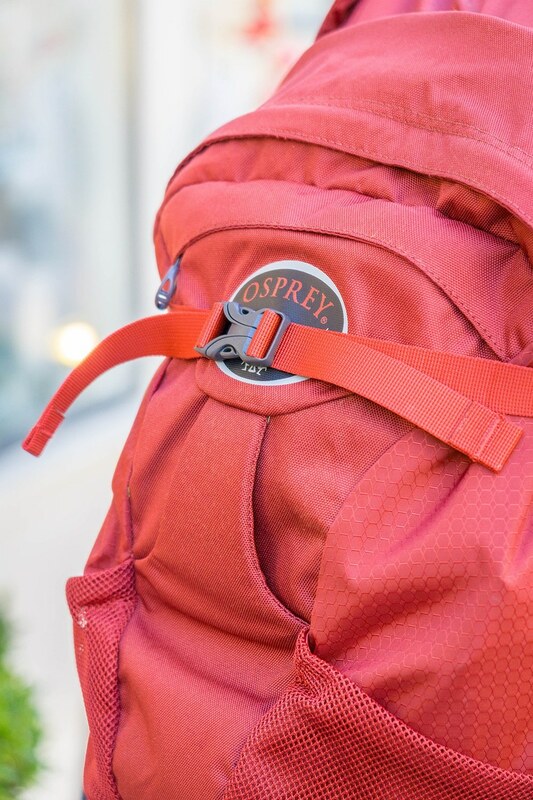 The best thing about this pack is that I didn’t have to worry about bringing luggage AND a daypack because the Osprey Farpoint 70 has a daypack that zips right onto the front and detaches anytime you just need a small backpack for the day. This made flying and traveling around Europe so much easier! And speaking of flying, the Farpoint 70 is perfect for a carry-on! Packed full, it fit into the overhead compartment with no effort. I love that you can buy a women’s version and select your size. I have really petite shoulders so it was awesome to have that option. The hip straps made it feel like I was carrying a light backpack. I was raving about this bag the entire trip! 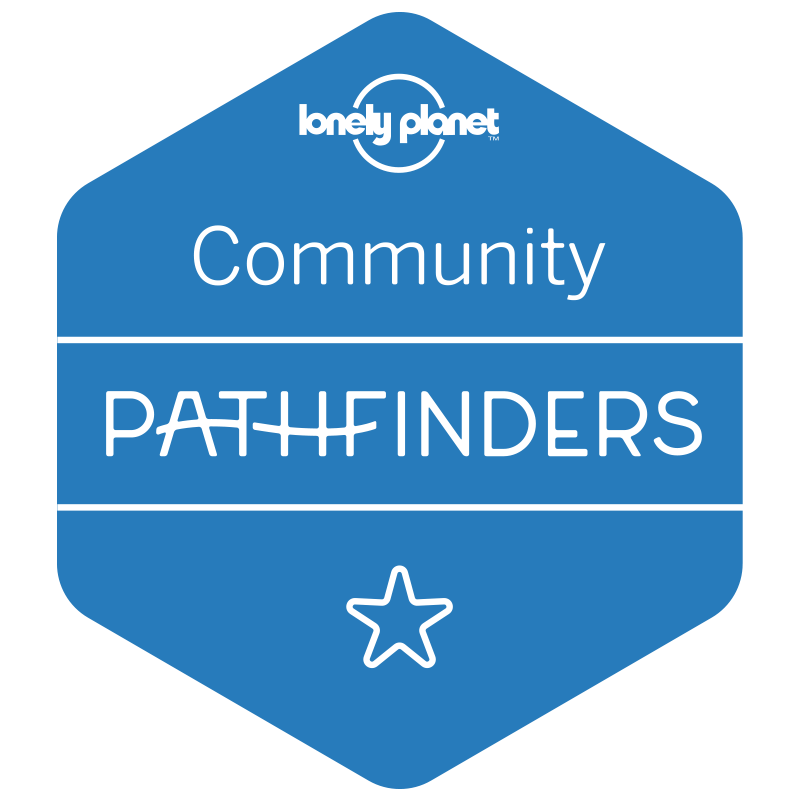 This video was sponsored by Mediavine, a leading ad network for food, travel, and lifestyle sites around the globe. 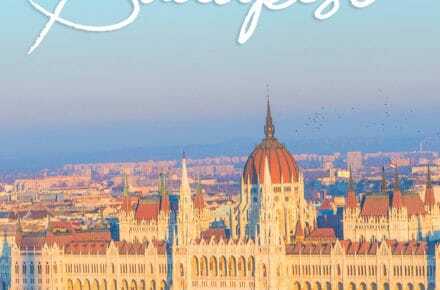 Moving on to Budapest…We only had one full day in Budapest and while there are so many things to do in Budapest that it could easily take years to explore it all, I’m going to tell you how to see the best of the city in a day! Budapest is divided into two parts. Buda on the west of the Danube River and Pest to the east. 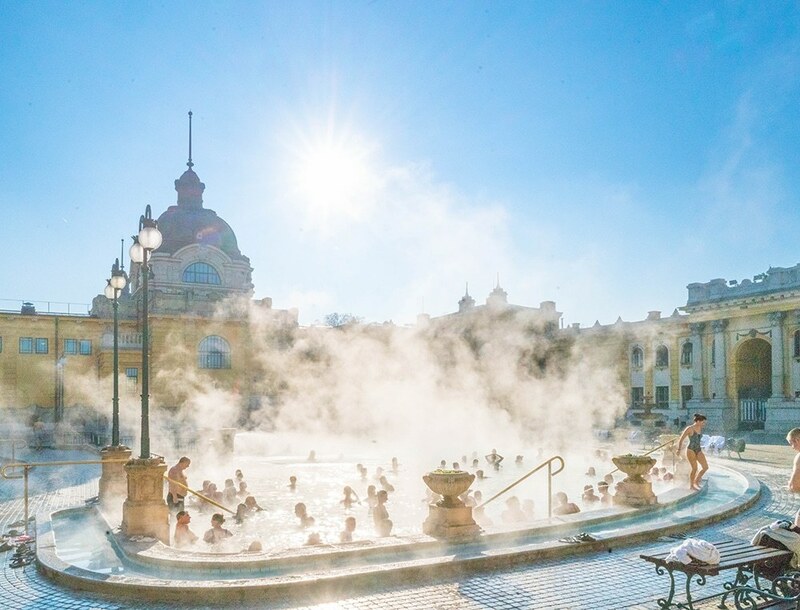 Known as the largest baths in Europe, the Szechenyi Thermal Baths are believed to help visitors with joint pain. You’ll see a lot of the older crowd there treating their ailments. You can find a variety of different pools, including a beer pool. I recommend renting a cabin, shoes, robe and towel, especially if you are going in the winter! Try to arrive in the morning when it first opens or in the evening as these times tend to be less busy. 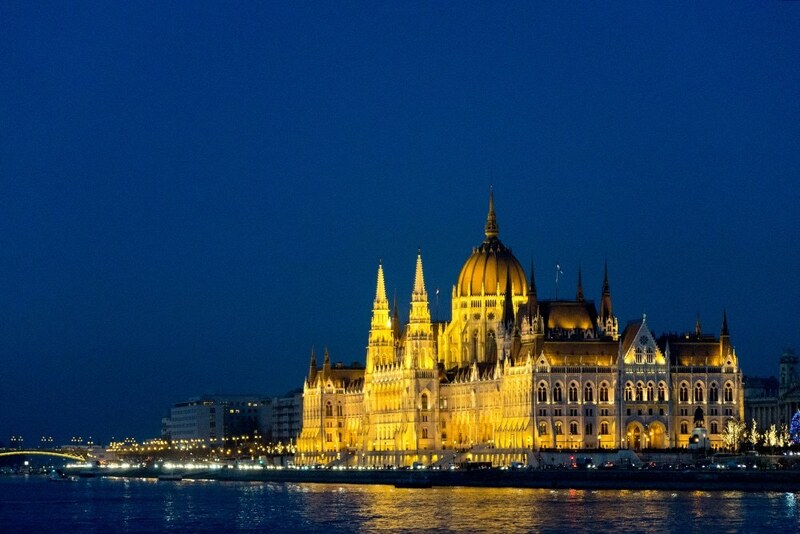 Home to hundreds of parliamentary offices, the Hungarian Parliament Building is one of the largest buildings in Hungary and a true sight to behold. Be sure to see it during the day and at night! 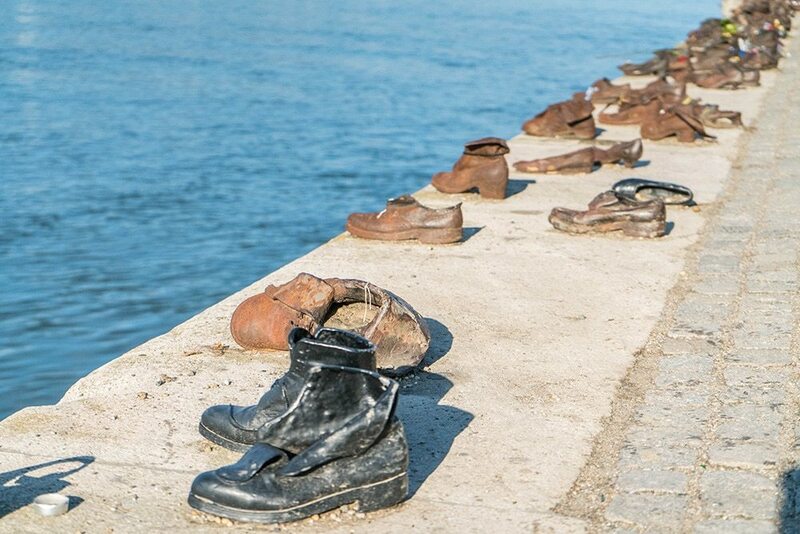 One of the most moving sights in Budapest, the Shoes on the Danube is a memorial for the 20,000+ jews who were forced to remove their shoes then shot into the Danube by Fascists during WWII. One of the most important religious buildings in Budapest, St. Stephen’s is home to the right hand of Stephen, the first king of Hungary. You can see services and concerts performed here and at Christmas time there is a market and light show that projects onto the basilica. 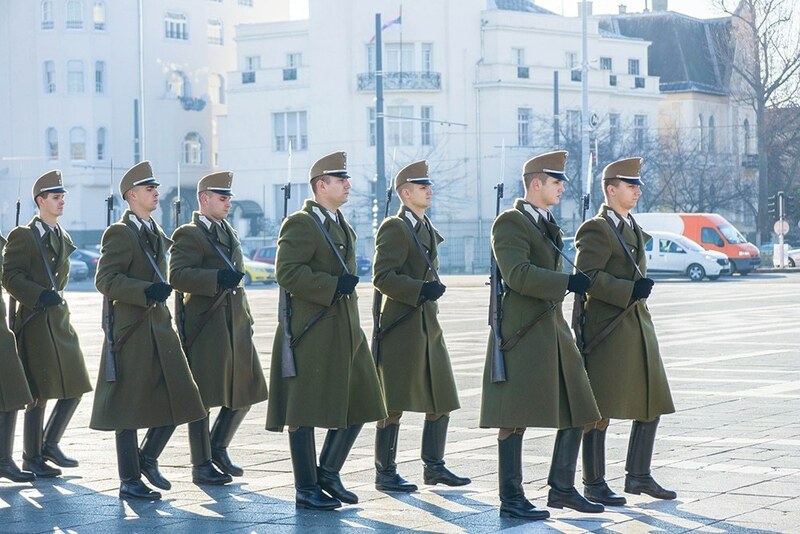 Home to the huge iconic monuments that feature the Seven Chieftains of the Magyars who led the Hungarian people from central Asia to modern-day Hungary. Many political and symbolic ceremonies are held here, such as the laying of the wreath on the anonymous soldier’s grave in December. Designed and built by English and Scottish engineers in 1849, the Széchenyi Chain Bridge, more commonly referred to as the “Chain Bridge” was the first bridge in Budapest to span the Danube River. You can walk across the bridge on the pedestrian sidewalks and it is a beautiful sight at night! 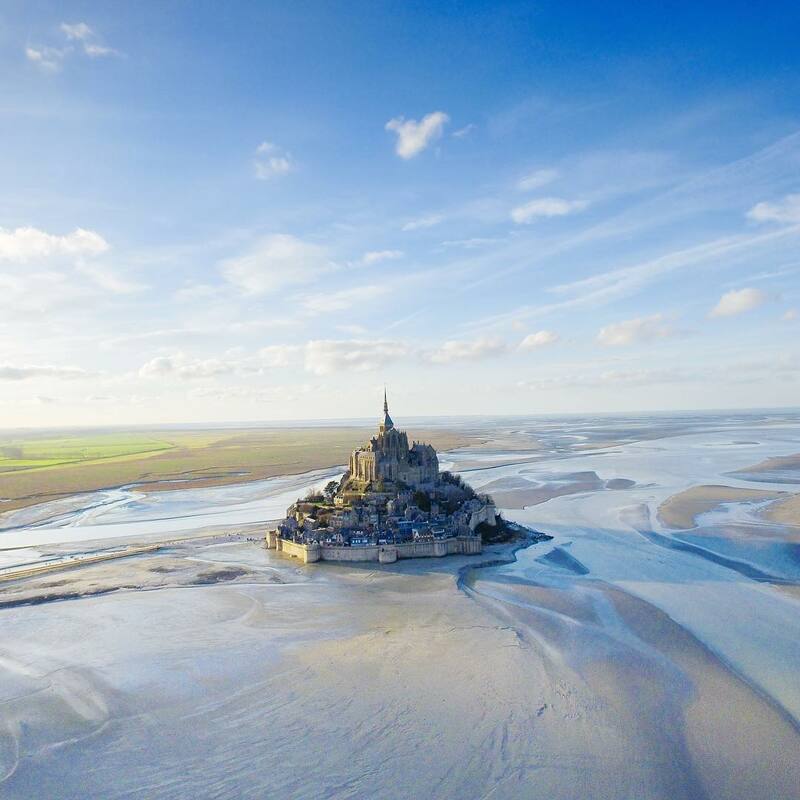 Climb the hill to this interesting monument that looks as if it was an ancient castle, but was actually erected in the 20th century and got its name from the guild of fishermen who defended the city during the middle ages. 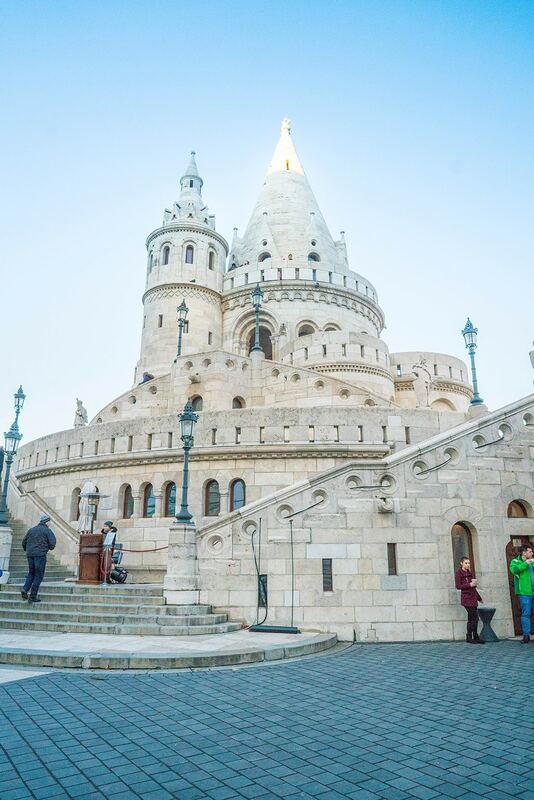 You can climb up the towers of the bastion and catch a fantastic view of the Pest side of the city. First completed in 1265, most of the historic castle which was home to the kings and queens of Hungary was finished in the 1700’s and is now a World Heritage Site. 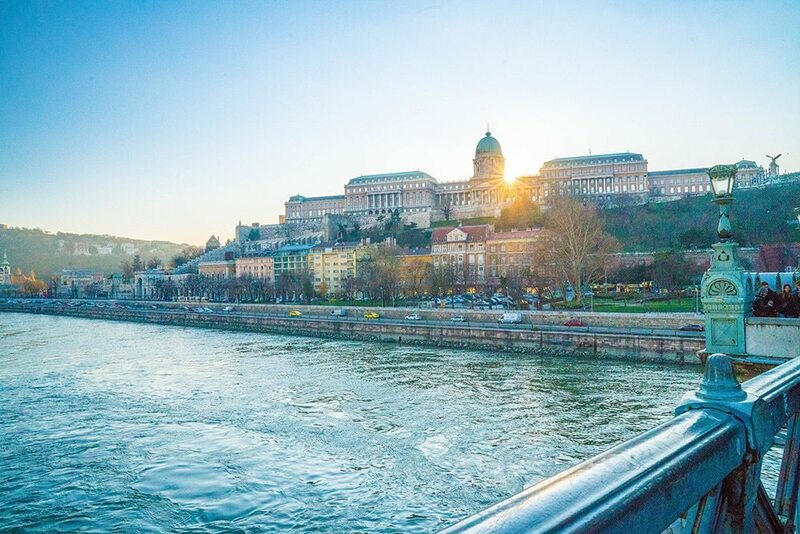 To get to Buda Castle, ride up Buda Castle Hill on the oldest funicular of its kind and enjoy panoramic views of the entire city. 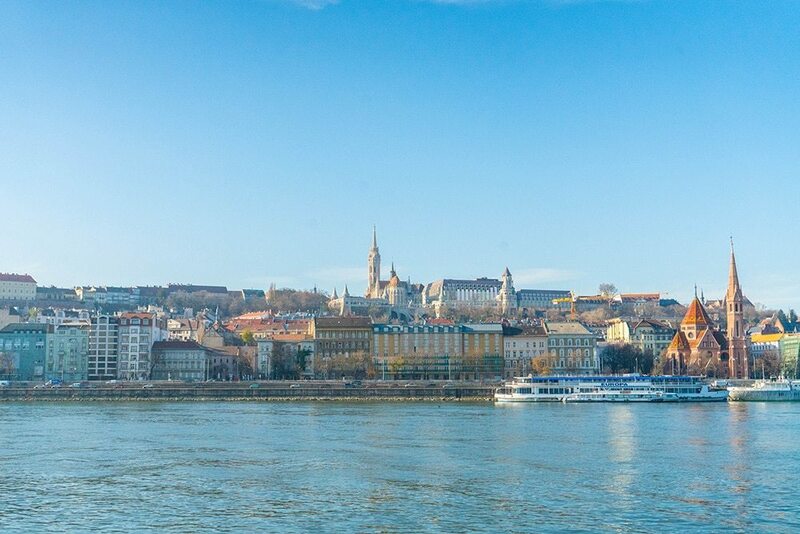 Take a cruise along the Danube and see both sides of the city from the water. 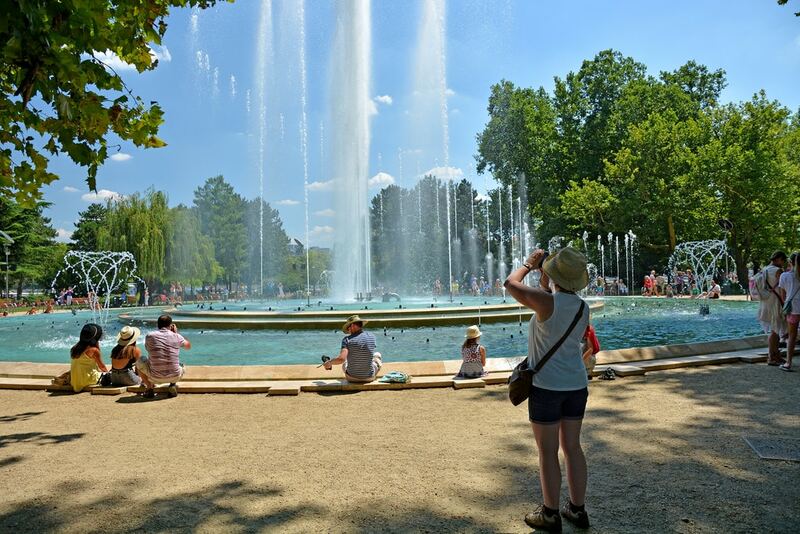 If you’re looking for a bit of green space during your city stay, hop over to Margaret Island, a small stretch of land in the middle of the Danube River where you can see a musical fountain, rent golf carts and see medieval ruins. 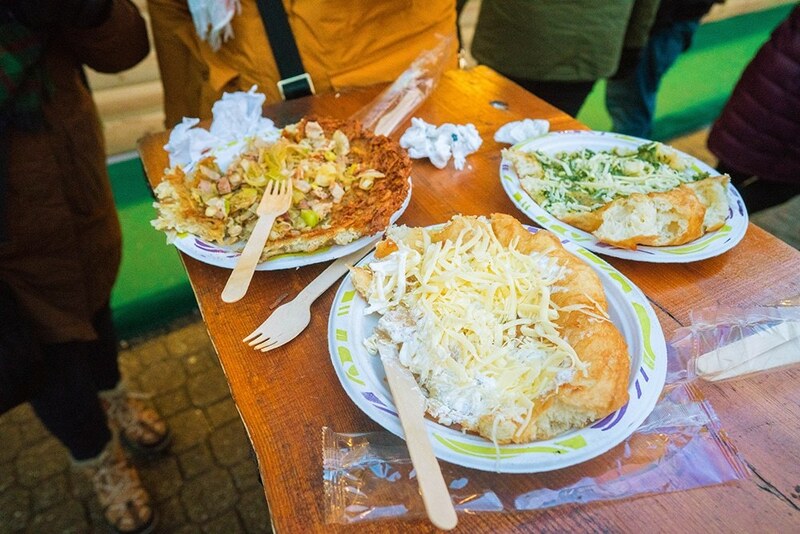 Lángos: A round, fried bread dough served with your topping of choice. Sour cream, garlic and cheese is my favorite! 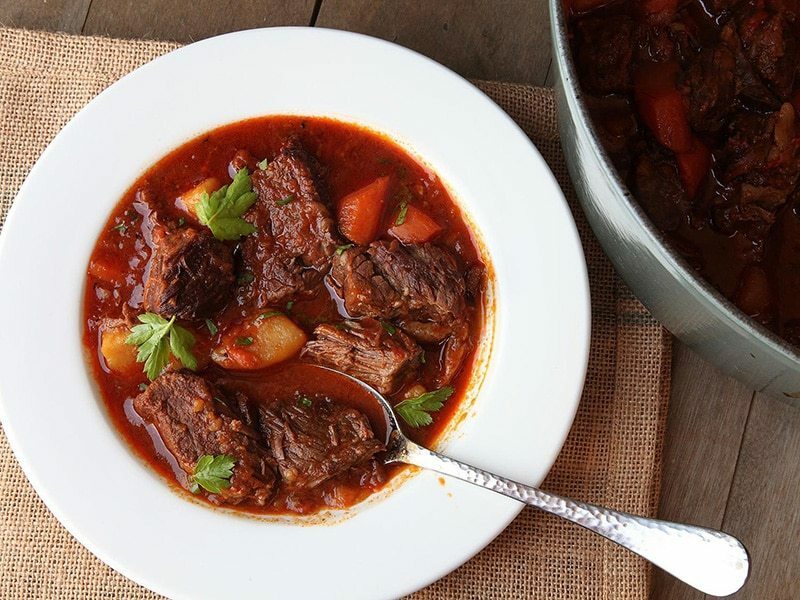 Gulyásleves (Goulash): A goulash soup with meat and vegetables, seasoned with paprika and other amazing spices. 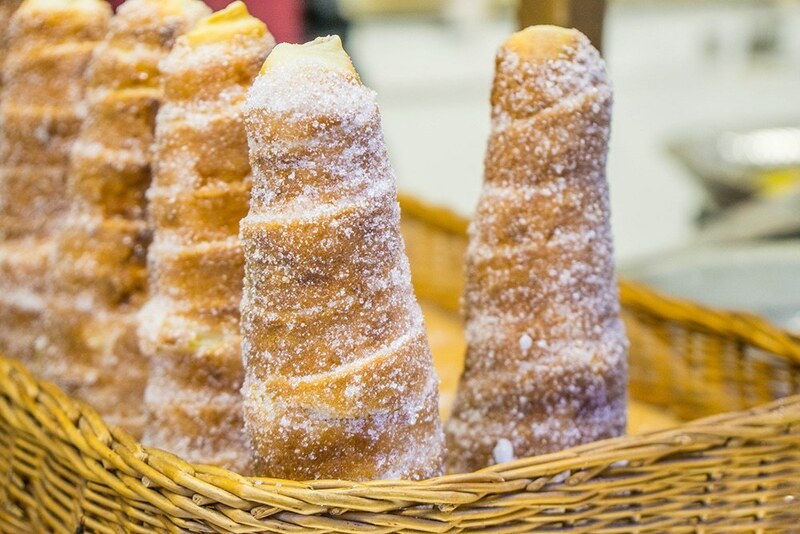 Kürtőskalács (Kalacs or Chimney Cakes): This delicious yeasty dough is wrapped around a wooden cone, rolled in sugar and smoked over hot coals to delicious perfection. My mouth is watering just thinking about these! 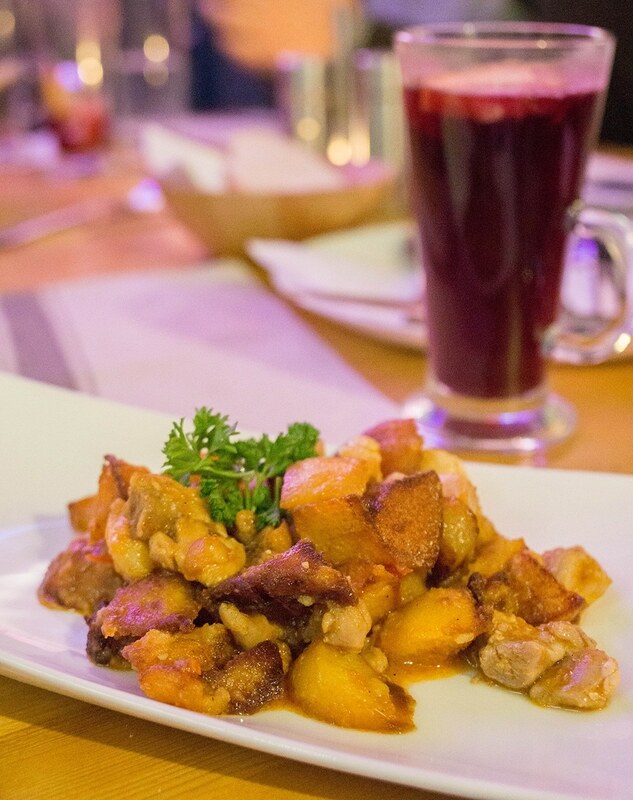 Vegetarian Restaurants: Budapest isn’t all meat and cheese! 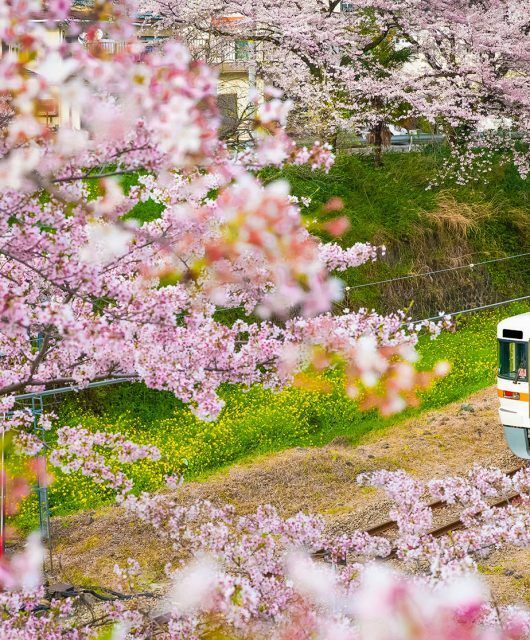 You can also find surprisingly good vegetarian restaurants. Check out this great map of Vegetarian Restaurants in Budapest. 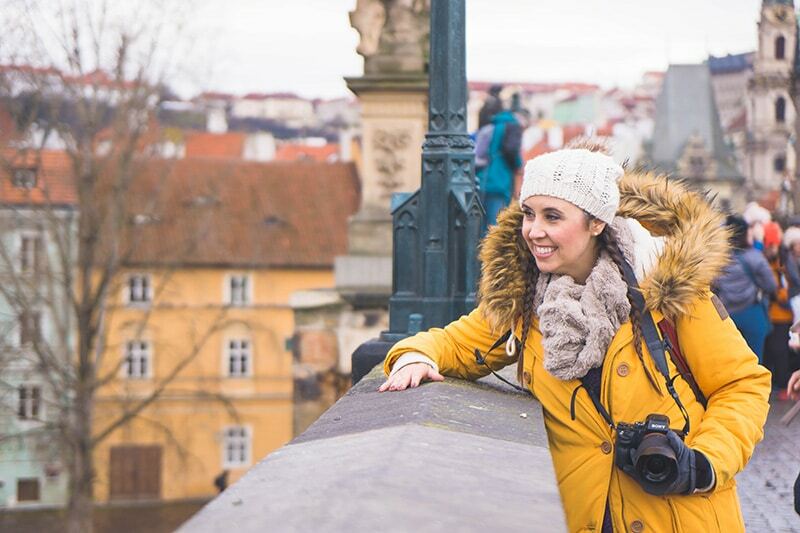 Whatever you choose to do in Budapest, you’re guaranteed to have an amazing time, because what really makes this city special is its incredible history and beautiful and friendly people. 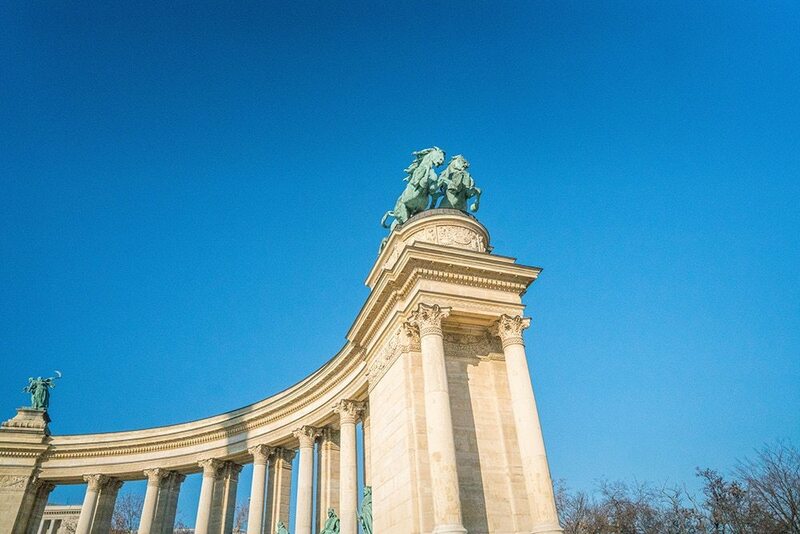 Budapest looks like an amazing city and those Széchenyi thermal baths would be at the top of my list if we visited!